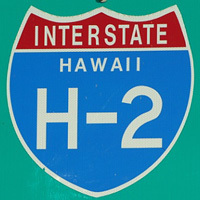 Vintage I-H2 sign. 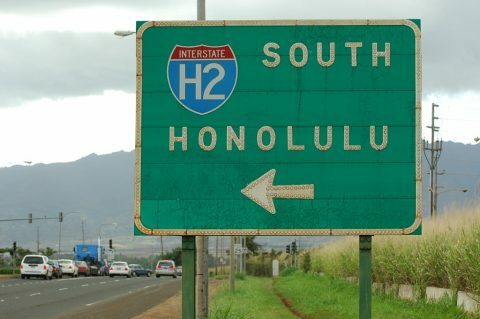 Most button copy signs in Hawaii were replaced by 2010. Photo taken by Jeff Royston (02/01/06). Interstate H-2 winds northward from Pearl City and Waipahu to Wahiawa and Wheeler Army Airfield. 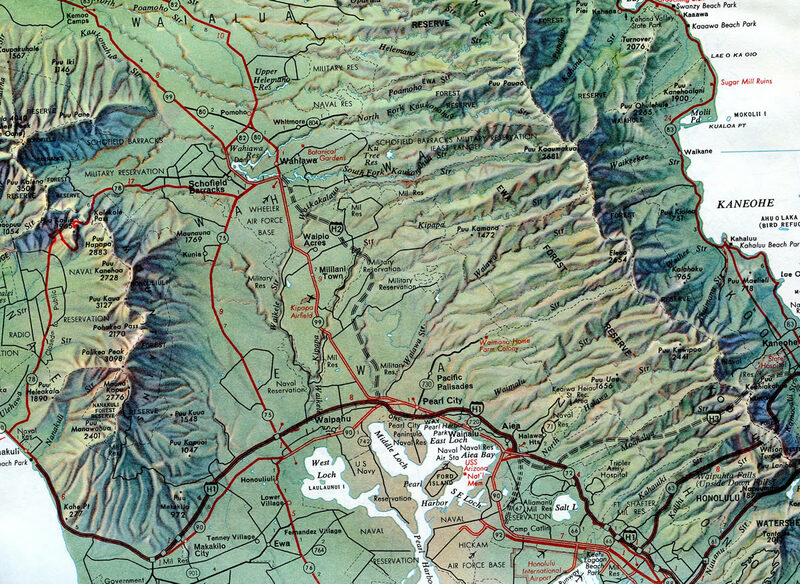 The route primary serves commuting interests between central Oahu and and Honolulu while providing part of a through route with Hawaii 99 (Kamehameha Highway) to the north shore. Interstate H-2 under construction in 1973. Interstate H-2 replaced Hawaii 99 as the through route between Wahiawa and Pearl City. 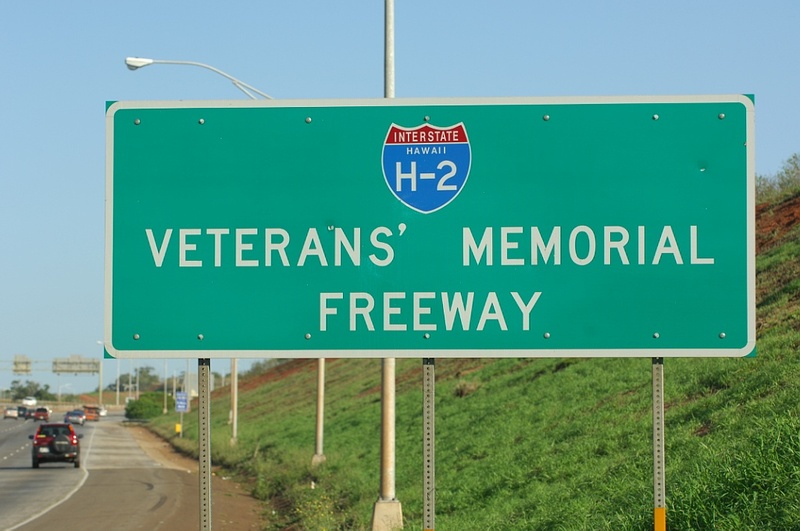 The freeway is named the Veterans’ Memorial Freeway, with signs posted at each end. 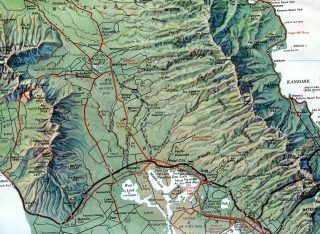 I-H2 starts out parallel to Panakauahi Gulch just east of Waipio. 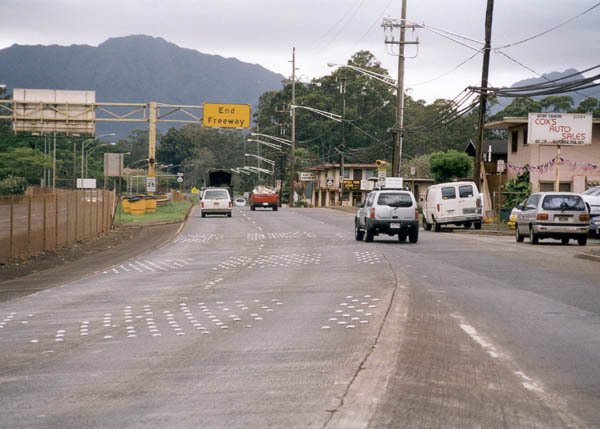 Beyond there, an undeveloped stretch ensues before the freeway curves west across Kipapa Stream through built up areas of Mililani Town and Waipi’o Acres. 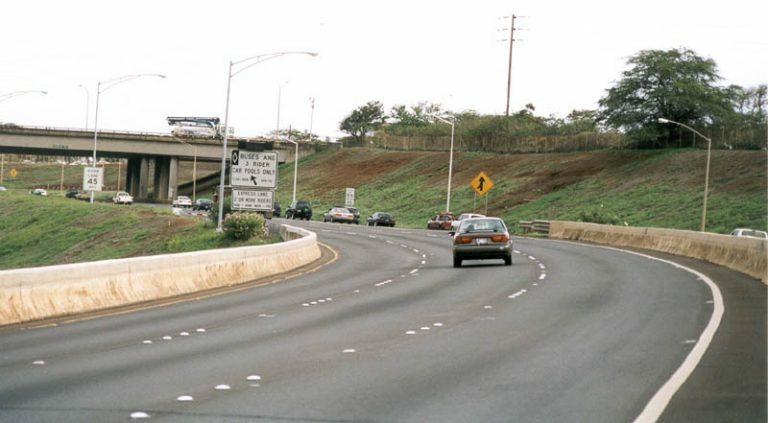 Crossing a viaduct above Waikakalaua Stream and Waikalani Drive, H2 winds northward through western reaches of Schofield Barracks to encircle Wheeler AAF and end as Wilikina Drive (Hawaii 99) ahead of Kunia Road (Hawaii 750). Interstate H-2 was included in the 51.2 miles of freeway added to the Eisenhower Interstate and Defense Highway System in 1960.1 Construction on I-H2 commenced in 1972 and was finished in 1975. 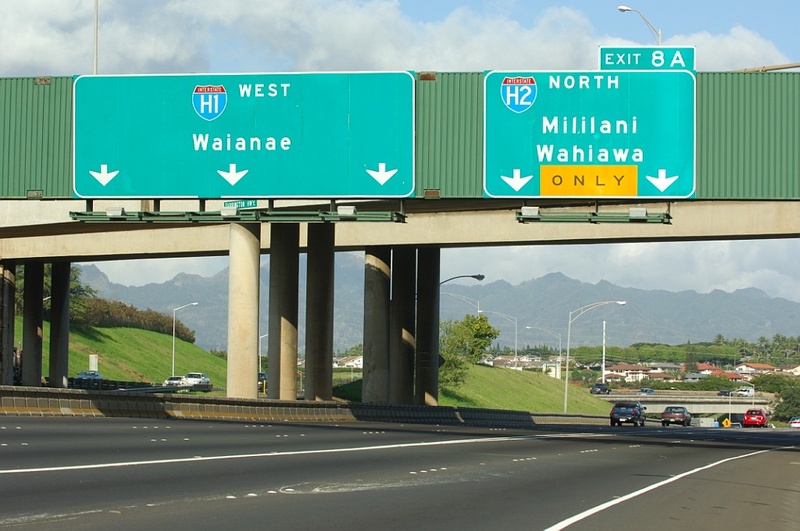 Southbound Interstate H2 ends at a three wye interchange with I-H1 at Pearl City. Photo taken by Oscar Voss (11/01). Traffic separates along I-H1 west for I-H2 north to Mililani and Schofield Barracks. I-H1 turns southwest beyond this exchange en route to Waipahu and Barbers Point. Photo taken by Jeff Royston (02/01/06). One mile south of the parclo interchange (Exit 394) with Easterday Avenue on I-75 north. Photo taken 11/06/09.